A crucial element to sports planning is the city you select to host your event. Your location should boast top-flight facilities, plenty of accommodation options and numerous activities to occupy your athletes when they aren’t competing on the field. Luckily, Tallahassee provides all these amenities in the beautiful Florida Panhandle. This city of nearly 300,000 people utilizes its numerous resources, from the Florida State University campus to its extensive parks system, offering venues for nearly every activity. The 1,600-acre Florida State University campus near downtown Tallahassee hosts group tours throughout the year, and your athletes can watch a Seminoles football game at Doak Campbell Stadium or a basketball game at the Donald L. Tucker Civic Center. 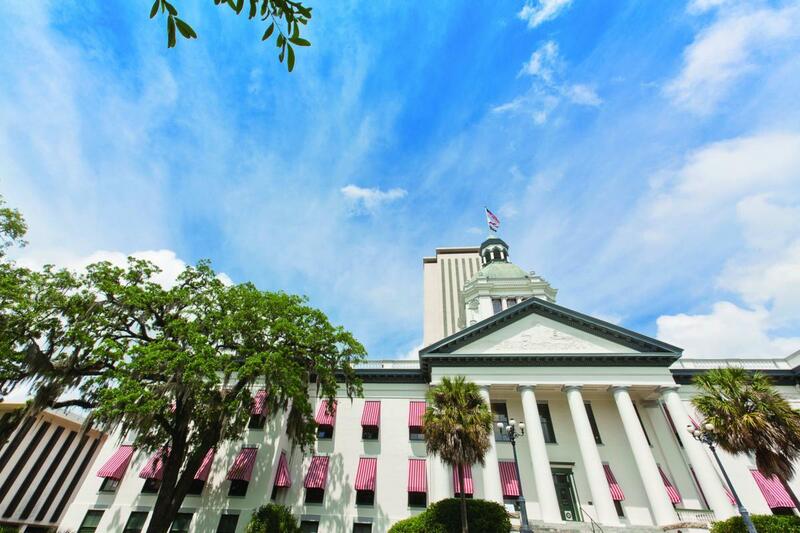 Nearby is the Florida Capitol Complex, which includes history museums, state government offices and the Capitol Building available for touring. Here, your athletes can see the original state senate chambers, governor’s office and galleries that showcase local artists. 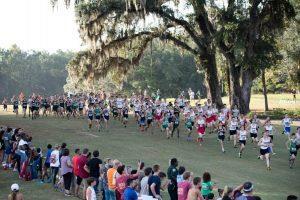 This multi-use park includes a rare site designed specifically for cross country running and has hosted prestigious meets such as NCAA D1 South Regional Cross Country Championship, USATF Club Cross Country Championship and the Florida High School Athletic Association Cross Country Championship. This trail is a pristine, multi-surface course that can host small and large running events. The facility features numerous course/distance options through the rolling hills, lowlands and pine forests. When the trail is not being used for a running event, it is available to the general public for hiking, running and biking. The park also has four lighted fields for soccer and lacrosse competitions. 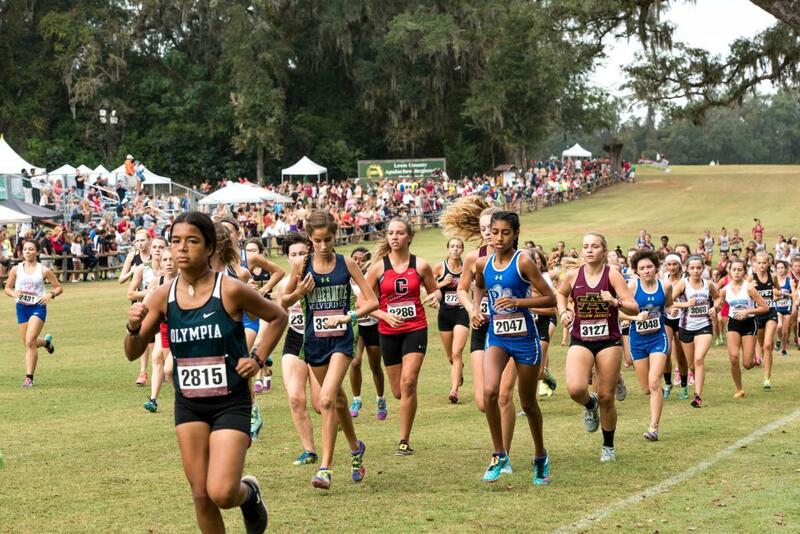 Upcoming events include USATF Junior Olympic Cross Country National Championships (Dec. 9), USATF National Cross Country Championships (Feb. 3) and the NCAA Cross Country National Championship in 2021. 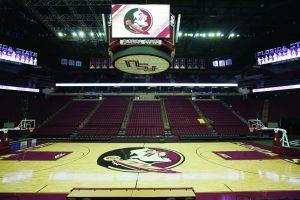 The home of FSU Seminoles basketball seats 12,600 spectators and can accommodate groups with 54,000 square feet of meeting and exhibition space. The arena’s wood court can be replaced with carpet or turf surfaces to accommodate your competition’s needs. Ten lighted soccer fields (six regulation-sized and four designed for 7 vs. 7 competition) welcome teams across all levels. 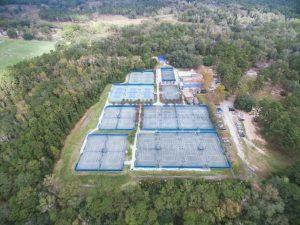 The venue is also recognized for its tennis facilities, which include 19 lighted clay and hard courts, a racquetball court and a clubhouse with changing rooms. The USTA Tennis Challenger takes place here. The James Messer Sports Complex is a baseball/softball facility that includes 11 lighted fields and a Miracle League Field. The complex includes two officials towers with air conditioning. All fields have operational scoreboards that can be controlled from field level or the officials tower, new shade shelters and ample parking. The complex also features the state-of-the-art, 26,000-square-foot Mike Blankenship Skate Park. The park boasts a five-foot pool and a nine-foot roll. There are numerous rolled lip areas for skaters of all skill levels, including two above-wall extensions, flat banks, raised transitions and other features. 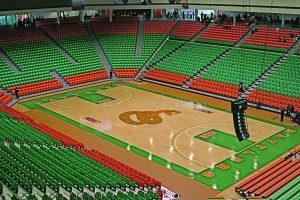 The primary athletic facility for Florida A&M University houses four basketball/volleyball courts on the arena floor. The human performance laboratory includes a hydrotherapy room with a Swimex theraputic pool, sports training area and 3,000- square-foot HPER fitness center. 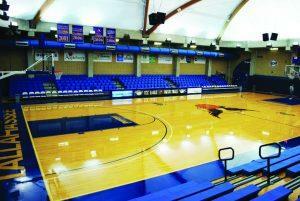 The main arena features bleacher seating for 8,400 people, a video scoreboard and a comprehensive arena sound system. The facility also includes an 80-person banquet room that overlooks the arena, a dance studio with spring floors and classrooms that can be converted to skyboxes. 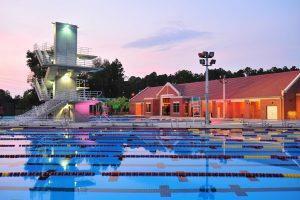 The Lifetime Sports Complex is located on the west side of the Tallahassee Community College campus and contains three full-length basketball courts as well as multipurpose facilities for recreational usage. The gym has open informal time for basketball, volleyball, table tennis and more. This venue’s centerpiece is a competition pool that features 21 practice lanes and maintains a temperature of 80 degrees. The diving well includes one-meter and three-meter spring boards in addition to platforms that are one, three, seven-and-a-half and 10 meters tall. Divers will also be able to practice using the dryland equipment, which includes two springboards attached to an intricate rope and pulley system, a trampoline and four dry land boards. 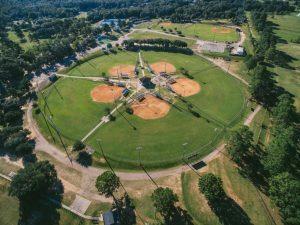 This 104-acre recreational sports facility on FSU’s Southwest Campus encompasses 21 sports fields and additional activity spaces. The venue won the 2010 NIRSA Outstanding Sports Facilities national award for excellence in recreational sports facilities and hosts hundreds of tournaments each year. Groups can use the 12 multipurpose fields (for football, lacrosse and soccer), four full-sized lighted fields (for soccer, rugby and lacrosse) and five softball diamonds. Teams can also take advantage of the Sportsplex’s complimentary Wi-Fi, two concession stands and changing areas. 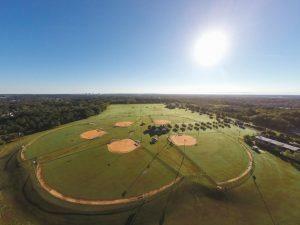 This 255-acre facility welcomes a wide range of recreational activities with eight lighted baseball/softball diamonds and two soccer fields. 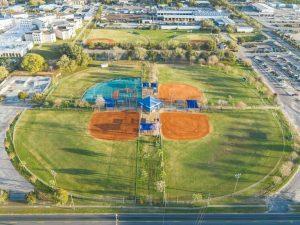 The park’s diverse offerings also include a 24-hole disc golf course, 12 racquetball courts, four sand volleyball courts, two full-length outdoor basketball courts and a remote control car track. Cyclists will enjoy the park’s numerous trails for all skill levels. 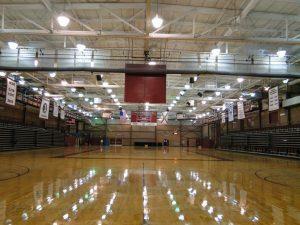 Tully Gymnasium is the home of FSU volleyball and encompasses four indoor multi-sport courts perfect for basketball, volleyball and gymnastics. The state-of-the-art Nike Shox floor is designed to absorb impact and preserve developing knees, and up to 2,500 spectators will enjoy the gym’s padded seats and armrests. Located in the heart of the Florida Panhandle, Tallahassee is a day’s drive from anywhere in the American Southeast and accessible by air from across the country. By Car: The city’s main artery is Interstate 10, which runs from Jacksonville to the east and San Antonio to the west. Tallahassee is within six hours from New Orleans, Mobile, Orlando, Tampa and Atlanta. By Air: Tallahassee International Airport, served by American Eagle, Delta and Silver Airways, is less than 15 minutes from downtown and services the entire Florida Panhandle.